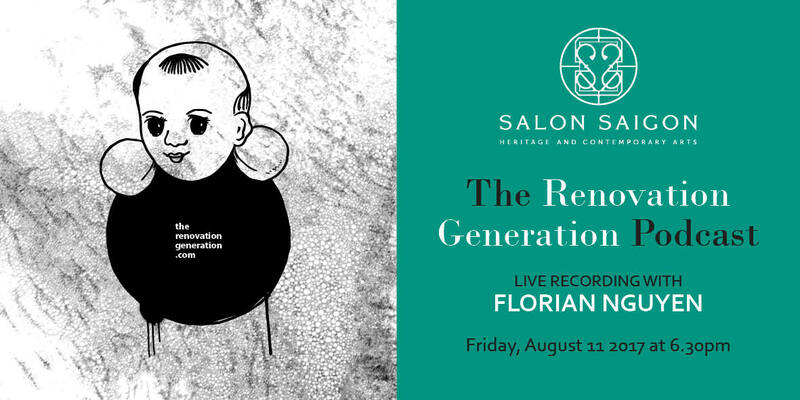 The first live recording of The Renovation Generation podcast in Ho Chi Minh City. Artist and illustrator Florian Nguyen will talk to producer Fabiola Büchele about his creative practice, his decision to move to Saigon and how he views his kinship to his Vietnamese peers born after 1986. The Renovation Generation has been producing sonic portraits of young minds shaping Vietnam’s future and identity. Florian is the first Viet Kieu they are adding to the mix to further diversify what it means to be Vietnamese. The event will be in English only.